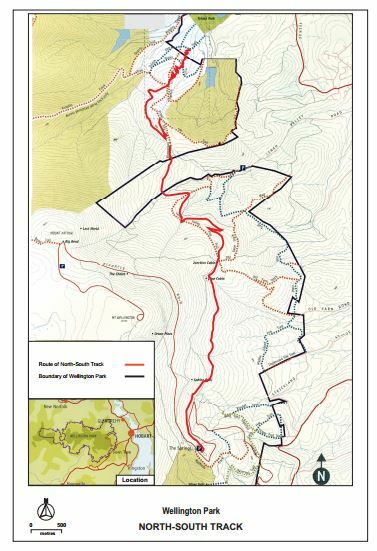 This 20km purpose built shared-use track in Wellington Park linking The Springs with the Glenorchy Mountain Bike Park is an interesting and appealing track for both mountain bike riders and walkers. The track was completed in December 2011 and the methods used in its construction are both functional and artistic. These include dry-stone walls, log rides, jumps and the impressive clapper bridge which crosses the New Town Rivulet . 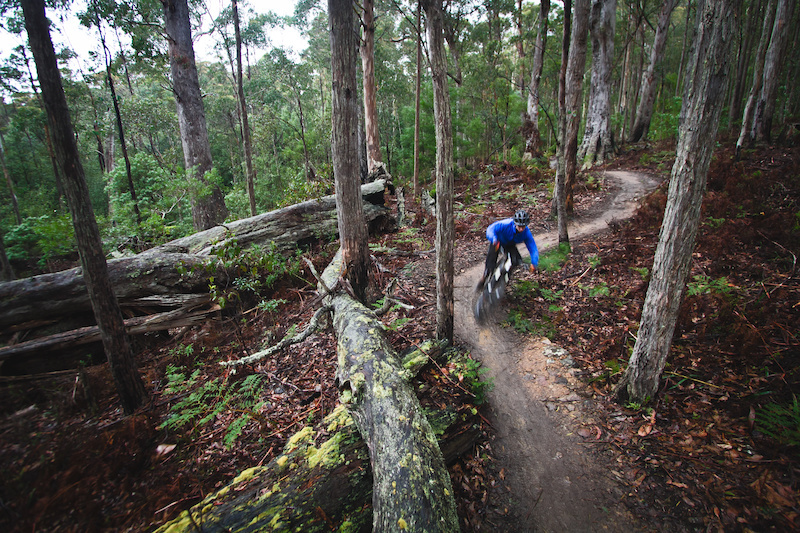 The track is suitable for mountain bike riders of moderate ability (with some more challenging features located on side loops) and there are good sight lines enabling riders and walkers to easily see each other. Please be a safe bike rider by respecting other track users, by staying on the track, by minimising your impact on the environment and by riding the track and the optional technical features within your level of ability. Creek crossings may be impassable after high rainfall events. 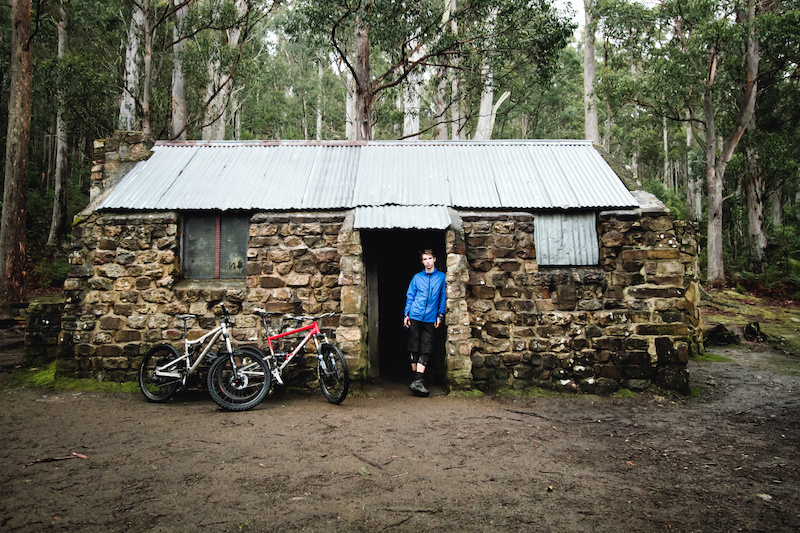 This ride in normally ridden from south > north, ending at the Glenorchy MTB Park. It is normally done as a shuttle ride. 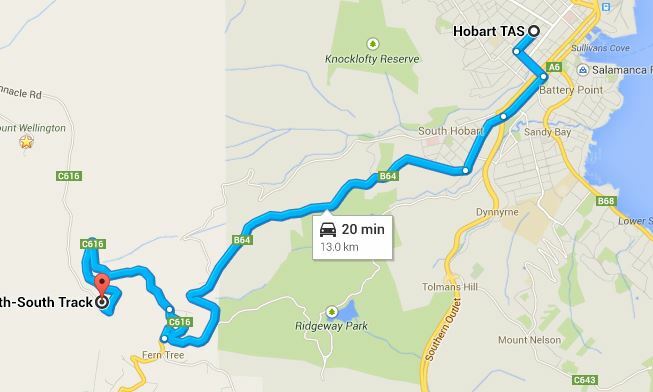 Nil at trail head but takeaway & tavern only 7 minutes drive away, at Ferntree. Map at this link. There are toilets and some basic BBQ facilities at the Springs. 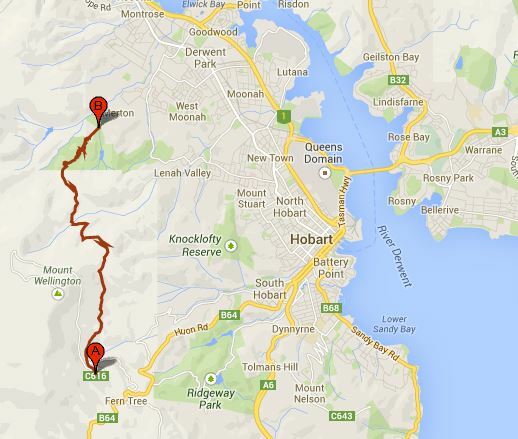 This clip starts at the top of Mt Wellington and then enters the North - South track below The Springs.